gala concerts 17.12.17sing with us? 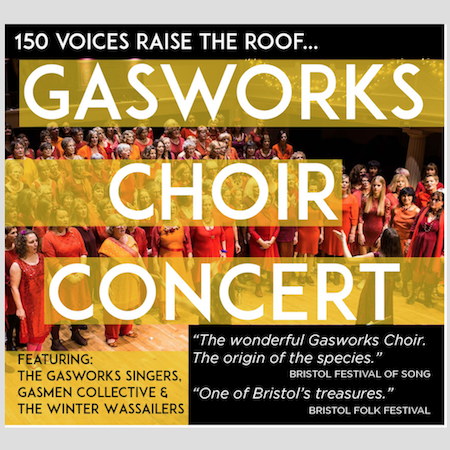 Bristol's legendary Gasworks Choir is a community choir with over 160 members. 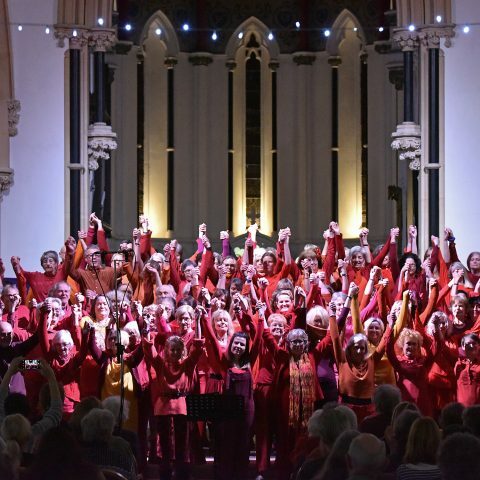 Our dynamic and friendly community choir sings a wide range of songs in gorgeous acappella harmony – pop, soul, folk, funk, jazz, blues, world, classical and more. There are no auditions and we welcome experienced singers and beginners alike. All our songs are taught by ear in a fun and relaxed atmosphere. Click here to see our short video. We learn new songs every term and reach an extraordinary standard very quickly, thanks to clear and inspiring teaching from two leaders at every session, and the help and support our choir members give each other. Our 180 strong choir meets fortnightly in four smaller groups at the Gasworks Studio in St Werburghs. 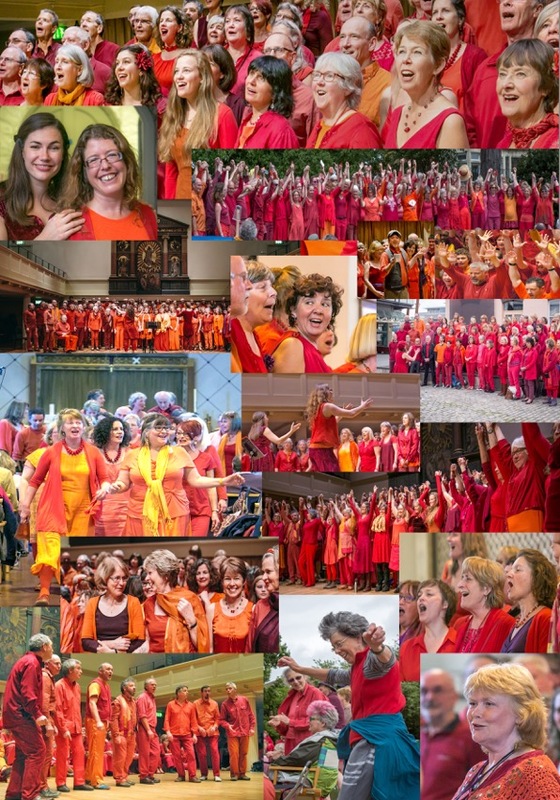 We also come together regularly as a whole choir in larger local venues. We provide audio recordings throughout the term for you to practice at home. 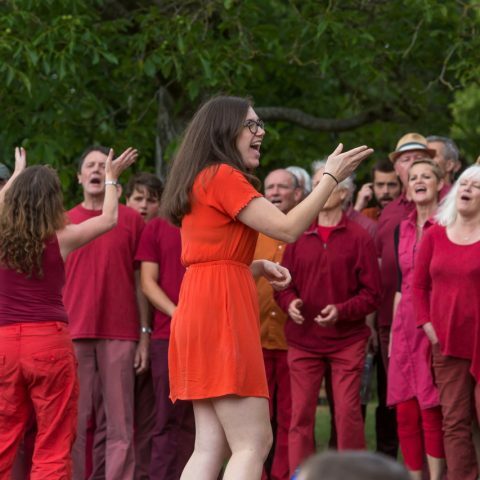 Gasworks Choir was the first community choir to form in Bristol and its ground-breaking model has inspired the formation of many more choirs across the country. Directed by Ali Orbaum and Jess Broderick, the choir grew out of Ali & Dee Jarlett's work with the Sweet Soul Sisters, and has continued to thrive since its formation in 1997. Many of our arrangements are created especially for Gasworks by Ali, Jess and Dee and these arrangements are sought out by choirs across the UK. 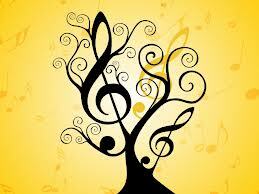 If you are interested in our arrangements for your choir please contact us. Get in touch now if you're interested in joining and we'll offer you a place as soon as possible - perhaps as soon as next term! Ali has been co-directing the Gasworks Choir since it’s inception. 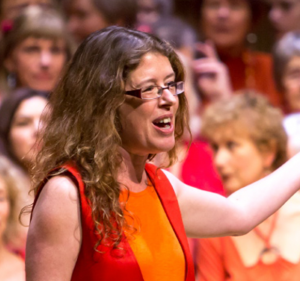 A singer, arranger & teacher with 20 years experience, from performing in indie bands to leading 1000 voice choral events, she runs popular workshops & singing events both locally and internationally including Sing for Water West & Sing Your Socks Off holidays. 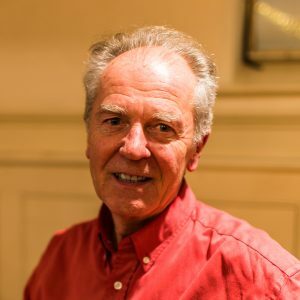 Pip is the choir’s administrator and keeper of the database, providing invaluable support with the day-to-day running of the choir, marketing and recruitment. He joined the choir in 2004, has sung with Gasworks Singers and was a founder member of The Gasmen. Dee co-founded and ran Gasworks with Ali for 16 years, and Naked Voices for 9 years. 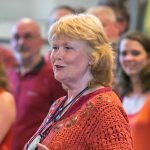 Semi-retired, she still directs the offshoot “Gasworks Singers” and arranges songs for Gasworks and choirs around the country. as well as running holidays and teaching at voice camps with Ali. She has taken up the violin and now plays in lots of bands! So delighted to have discovered the Gasworks Choir this year. Everyone is incredibly friendly, the music is varied and beautifully arranged and most importantly the practices are relaxed and a lot of fun. Puts me in a great mood every week! I’ve sung in other choirs before, but Gasworks is by far the most enjoyable. 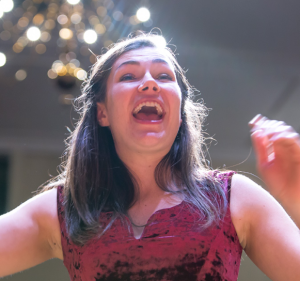 The choir leaders strike the perfect balance between professionalism and fun: we achieve a fantastic sound by the time we perform our songs in public without it feeling like hard work to get there.